Let Thomas Steele help make your vision come alive. 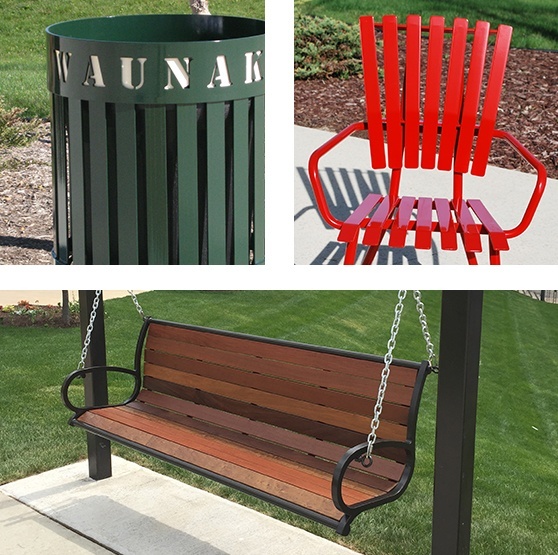 Your project requires more than generic, mass-produced site furnishings - it yearns for handcrafted custom outdoor furniture products that are as innovative and unique as your vision. Bringing your vision to life requires hard work and dedication to ensure every particular aspect of your design is met to your exact specifications. We have built our reputation on our ability to provide our clients with custom site furnishings that bring their vision and design project to life. Located in Waunakee, Wisconsin, we take pride in our efficient ordering, local manufacturing, and speedy shipping processes that get you your products right on time. Contact Thomas Steel with questions or your custom design needs.